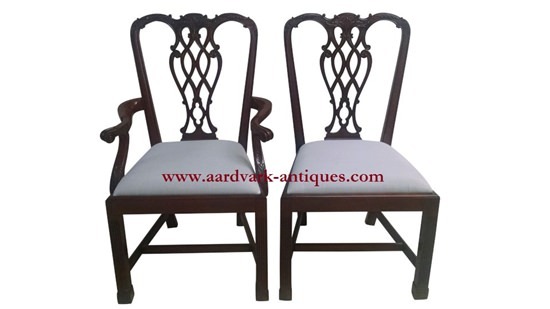 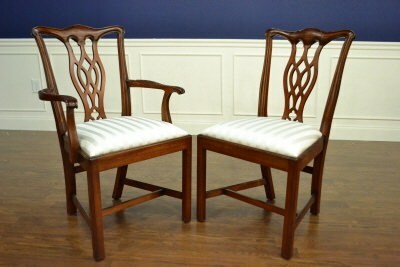 Floor Sample, Set of 8 (6 side chairs & 2 armchairs) Leighton Hall Chippendale “Marlborough” Mahogany Fine Dining Chairs. 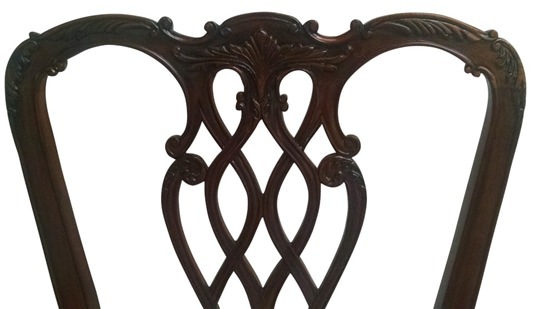 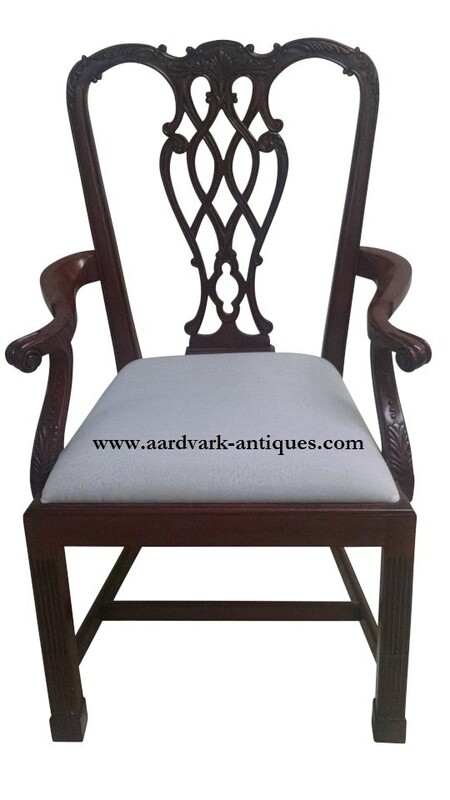 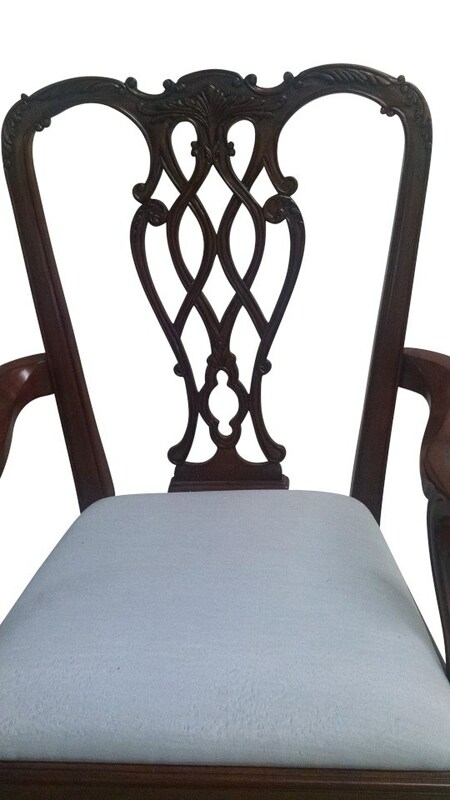 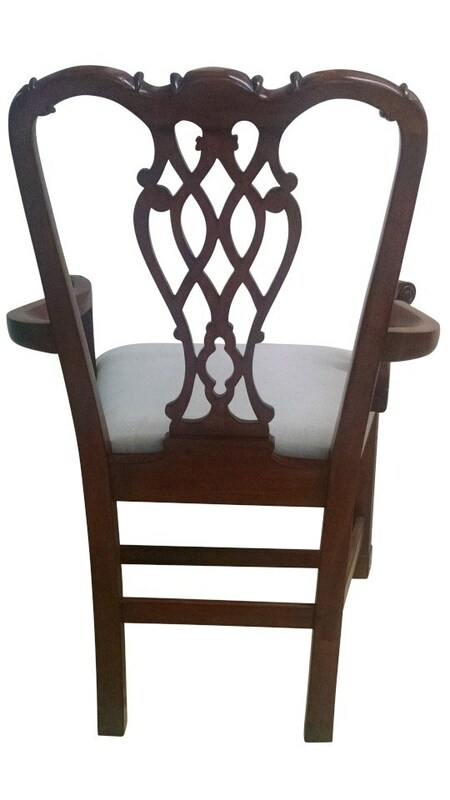 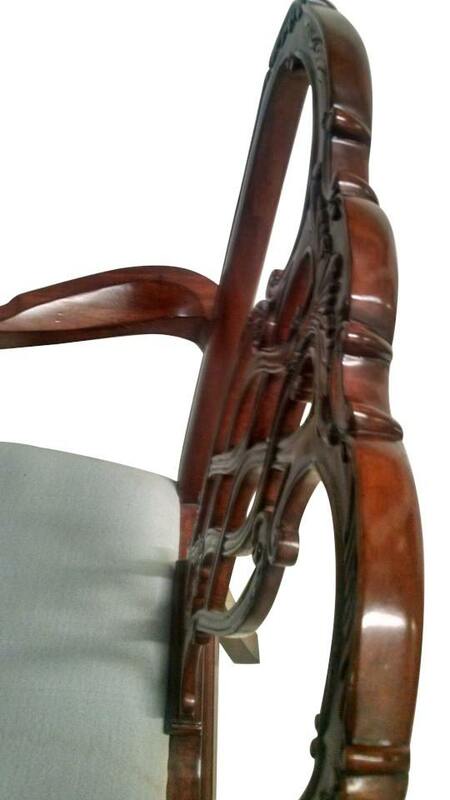 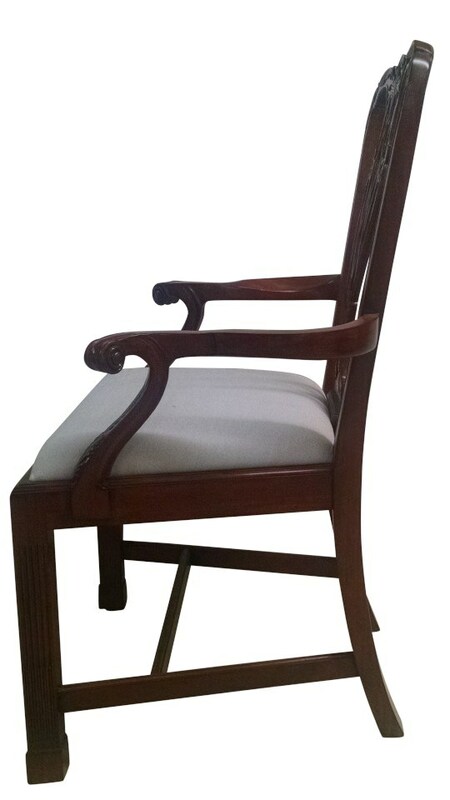 Marlborough Chippendale style chair with interlacing ribbon back splat, solid Mahogany frame, scrolled arm, straight fluted legs with spade feet, double stretchers, accents of acanthus and scroll. 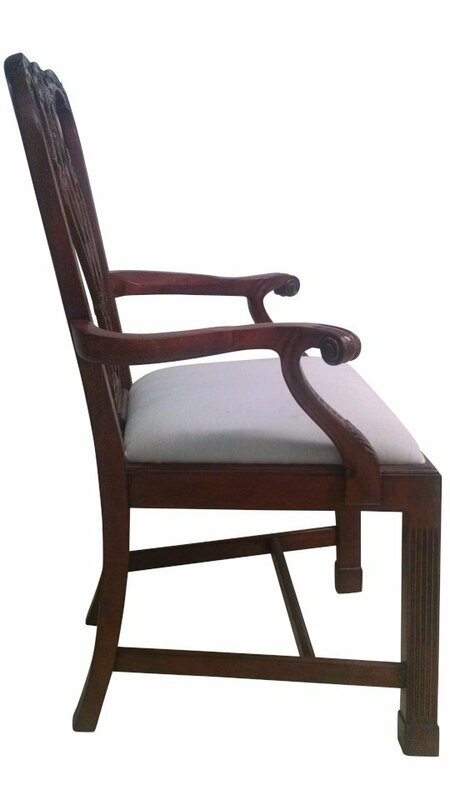 Timeless styles with sturdiness and durability to become an antique. 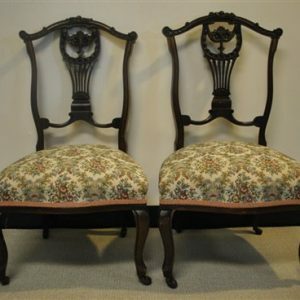 The upholstery fabric may vary. 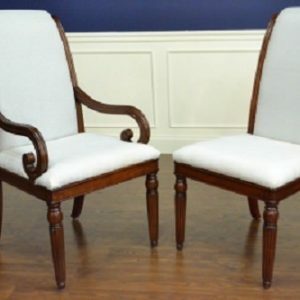 These chairs are in perfect proportion, built in the same factory, by the same hands, same wood, same finish, as Henredon, EJ Victor, and Hickory Chair. 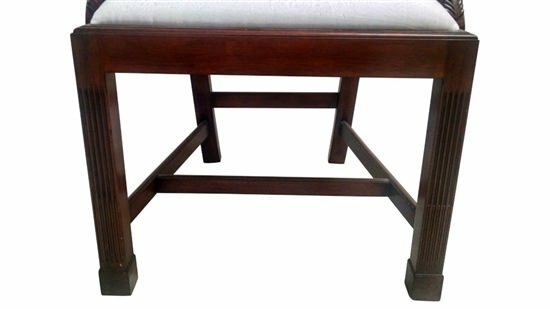 There is a slight design change and no label so you can buy them from us for less than half retail of what you would pay elsewhere. 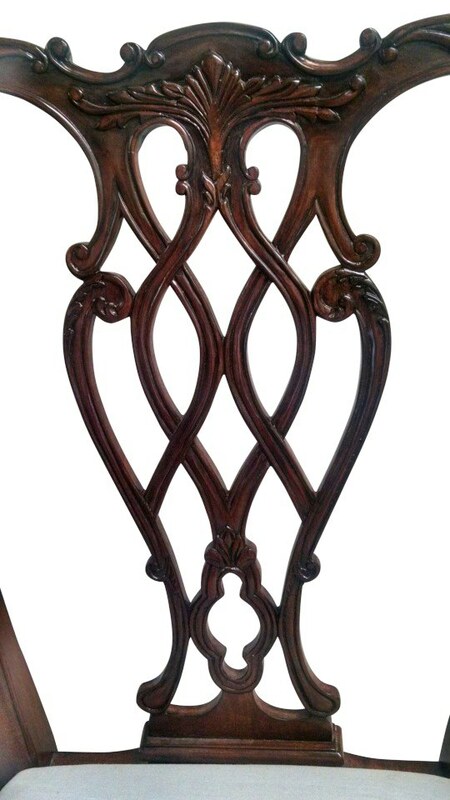 As with any floor sample, there may be an occasional scratch or knick. 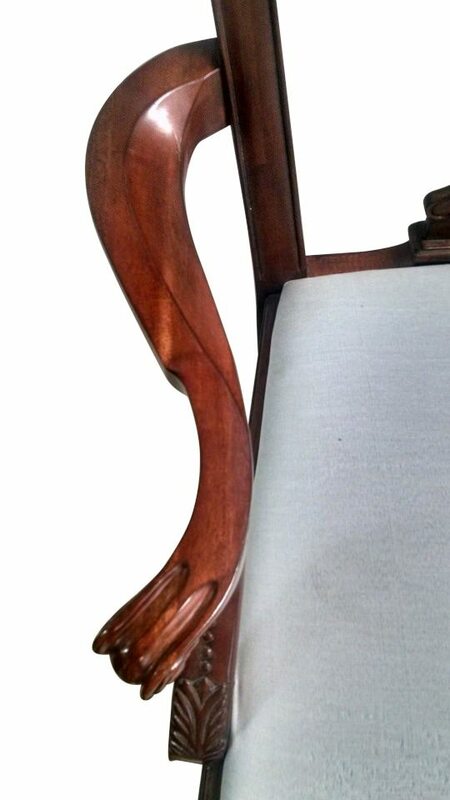 We photograph any we find and put it in the ad.